Throwback Thursday: What did the Hollywood sign originally say? 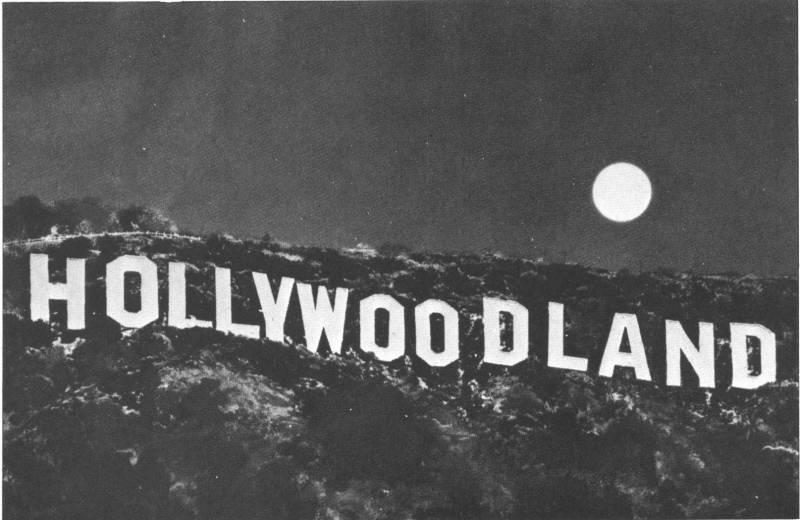 The Famous “HOLLYWOOD” Sign Originally Read “HOLLYWOODLAND” and Was Lit By About 4,000 Light Bulbs. What is now the symbol of the American-film industry started out as an ad for a suburban housing development. Wait, what? That's right, in 1923, Harry Chandler erected the billboard to advertise his upscale Hollywoodland real estate company. The letters measured 30 feet wide and 43 feet tall and had to be dragged up the hill by workers on a narrow dirt path. What was supposed to be a year and a half long advertisement never left. In 1949 the “LAND” was removed, leaving the sign that we know and love today.